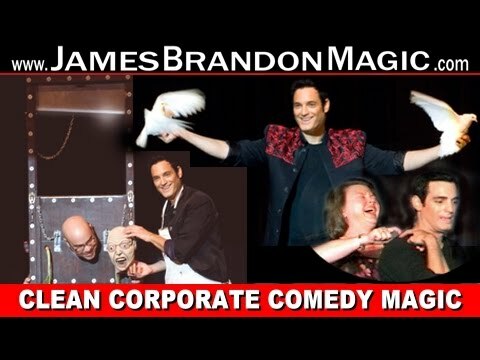 ★★★★★ 5 Star Rated Magician and World Champion Illusionist, James Brandon offers Clean Comedy Magic Entertainment for your next Party, Trade Show or Corporate Event. 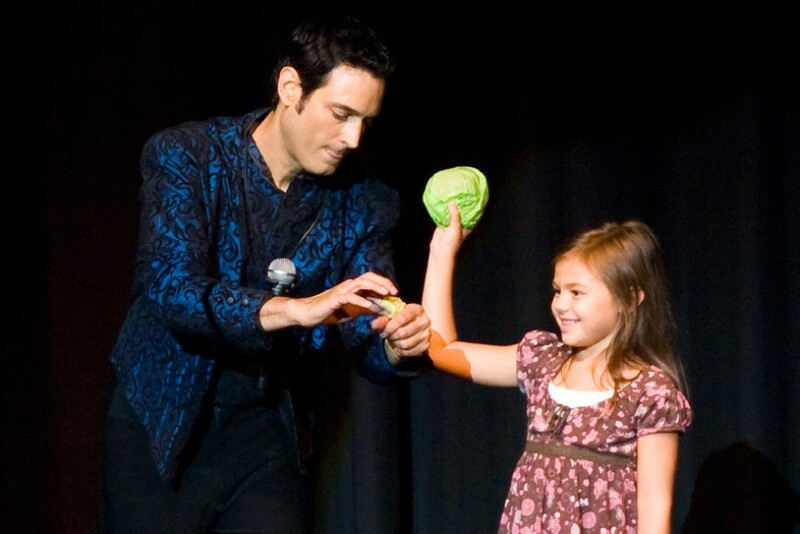 Comedy Magic Shows with Audience Participation are always a Huge Hit but he also specializes in Custom Sleight of Hand Close Up Magic Tricks at events and Trade Shows. James Headlined in 7 shows, during his 13 years as a Comedy Magician and Illusionist on the Las Vegas Strip and now offers his talents to the corporate and private event market. James is the real deal. Not only was his act incredible (seriously, I could write a paragraph) but he was the nicest, easiest guy to work with. He was reliable and professional, and we will DEFINITELY be having him back. His act was the perfect mix of magic and hilarity, and we loved seeing our friends and coworkers on stage. From the time James Brandon started until the standing ovation it was nonstop laughter! James Brandon’s sister presented him with a starter magic set for his twelfth birthday. At the time she had no idea that it would inevitably lead to his professional career as a comedy magician, illusionist, emcee and actor. His high-tech magic show gained him immediate success in Europe as he became the youngest variety artist to headline at the famed Alcazar de Paris. He concluded his 28th tour of Europe with a Command Performance for the Royal Family of Monaco. 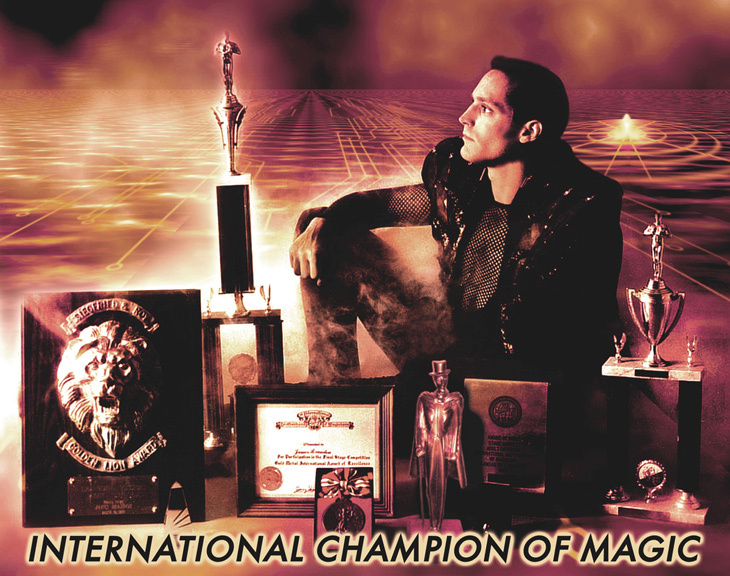 Among the most prestigious Medals and Grand Prizes bestowed upon James are the Siegfried and Roy “Golden Lion Award” he received in Las Vegas, the World Magic Olympics Medal he won in Japan and the “Golden Mandrake”, presented in Paris. U.S. appearances at Lincoln Center’s Alice Tully Hall sparked interest from 20th Century Fox who then hired James to turn Oscar winner Joe Pesci, into a “magician”, for the hit film, “My Cousin Vinny”. 6 South American tours supported by 23 television appearances resulted in his being featured on Univision’s “Best of Sabado Gigante” seen by 170 million people worldwide. The success of that one appearance led to James starring in the widely viewed American TV magic Specials, “The Great Magic of Las Vegas” for the Fox Family channel. Naturally James relocated to Las Vegas where he went on to headline in 7 long running shows as emcee, comedy magician and illusionist, including “Splash” at the Riviera and “Imagine” at the Luxor. 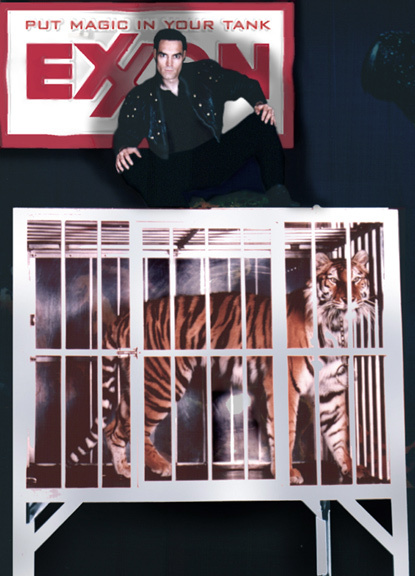 James’ Magic and Grand Illusion show then toured Asia 7 times finishing off at Genting, a 2000 seat theater in Malaysia, where he sold out 2 shows a night for six straight months. If James’ face seems familiar it might be due to the fact that for 3 years he was the pitch - magician for “IcyHot – Vanishing Scent” on their national TV commercials. With the exception of a few select yearly appearances on television or in Las Vegas James currently dedicates all of his focus as a comedy magician for corporate events and private parties.